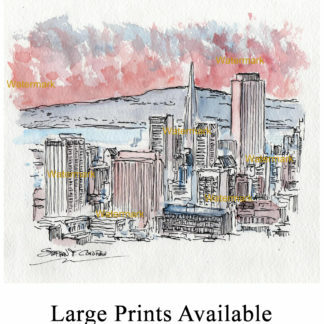 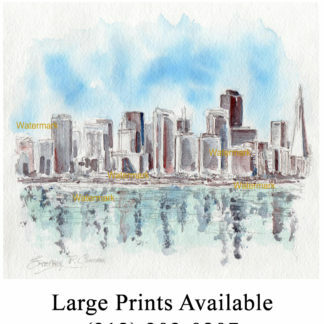 San Francisco skyline #098Y • Condren Galleries Ltd.
San Francisco skyline #098Y watercolors are metropolitan cityscape paintings with JPEG & PDF scans and prints by artist Stephen F. Condren, BFA-SAIC, of Condren Galleries, a Fine Arts Gallery. 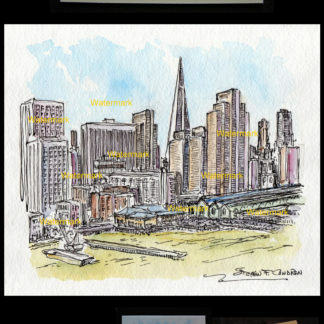 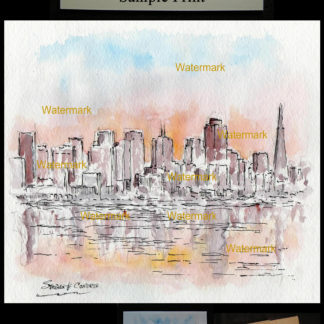 Because San Francisco is lovely, it’s watercolors are lovely. 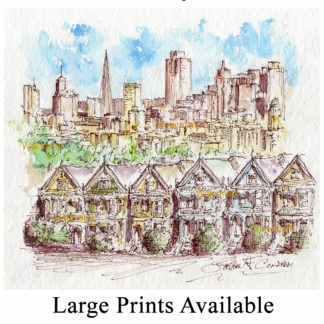 Pen & ink watercolors of the city bring out all of the details of the architecture.